Matt Patton, center, a Certified Cicerone and director of SoDel Concepts’ beer program, recently led a class to help the company’s employees increase their knowledge of every aspect of beer, including flavors and ingredients, ways to help guests select beer, and the proper way to pour and serve beer. The hospitality group currently has 25 certified beer servers. “We used study guides provided by the Cicerone Certification program, which is considered the gold standard for beer training, and additional materials that I compiled,” said Matt Patton director of SoDel Concepts’ beer program, one of only seven Certified Cicerones in the state of Delaware, and an avid home brewer. 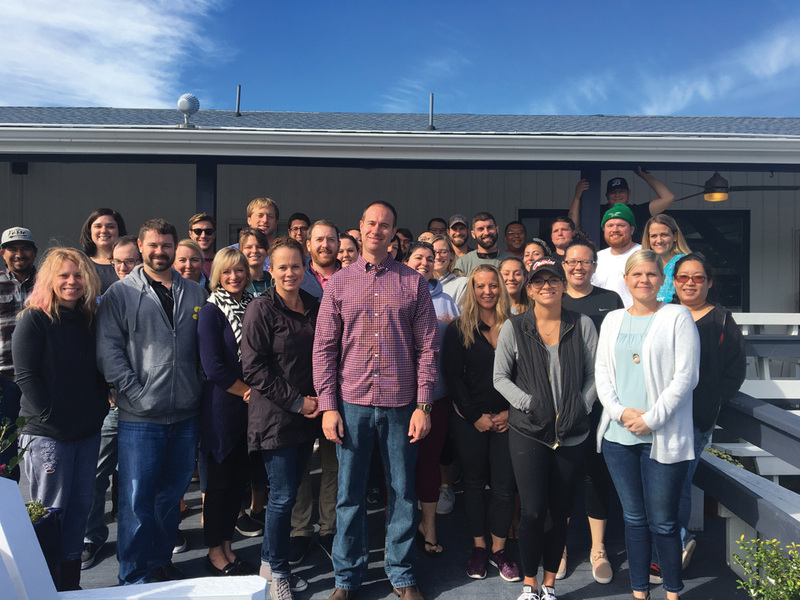 The two-day training featured a six-part curriculum, including: education on the Cicerone Certification program; proper storage and serving beer; styles, flavors and tasting; ingredients; and pairing beer and food. The class finished with an extensive tasting in which participants tasted, took notes and discussed 20 different distinct styles of beer. With the training under their belts, the participants were qualified to take the Level 1 Certified Beer Server exam. Of the 45 people signed up for the training, 25 have taken and passed the test to become certified. SoDel Concepts also has employees who are taking exams to become certified sommeliers, said Scott Kammerer, president of SoDel Concepts. “We are continually investing in our team not only to help them advance in the hospitality industry but also to improve the guest experience,” he said.